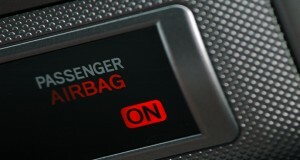 WASHINGTON, D.C. – The Justice Department today announced that three Takata executives will face criminal charges for allegedly deceiving automakers about defective airbags that have been linked to 11 deaths and more than 180 injuries in the United States. Justice officials said the auto parts manufacturer also has agreed to plead guilty to criminal wire fraud and pay $1 billion in penalties. Consumers Union, the policy and mobilization arm of Consumer Reports, has called on federal regulators to hold Takata accountable for this massive scandal. “Takata put its bottom line ahead of consumer safety,” said William Wallace, policy analyst for Consumers Union. “Allegedly, its executives plotted to falsify testing data and safety reports so they could sell these dangerous products to automakers. But it was consumers who were left with airbags that could injure or kill them. “We commend the Justice Department for making clear that this behavior is unacceptable, and should be punished. As officials continue to seek justice for consumers, we urge them to hold Takata executives fully accountable for their actions. This is critical to deterring future wrongdoing—not just at Takata, but in the auto industry as a whole,” Wallace added.